The indigenous People of Biafra (IPOB), has been lashed a controversial Enugu based prophet, Anthony Nwoko over his constant criticism of its leader and the group. 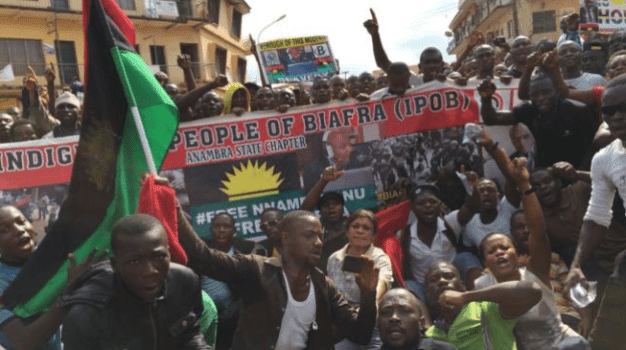 The Pro-Biafra group said that Nwoko and some other hungry Igbo people have now mapped out a plan of using their constant attack on the name of Mazi Nnamdi Kanu, its leader as the only way of putting food on their tables through their paymasters. The group lambasted Nwoko and cohorts and termed them hungry fellows who think that the only way to sound relevant or get some fat pockets is by scandalizing its leader’s name. It will be recalled that Nwoko in a recent publications on Vanguard Newspaper accused the leader of IPOB, Nnamdi Kanu of compromising in the struggle for Republic of Biafra by receiving money from the Peoples Democratic Party, (PDP), presidential candidate, Atiku Abubakar to endorse him for Nigeria presidency. The controversial prophet was quoted to have said, “Nnamdi Kanu, whatever money he collected from the PDP which I saw from the revelation, let Atiku go and collect his money and forget about IPOB business with Biafra. In a reaction to Nwoko’s recently comments on the pages of Newspaper, the Deputy Leader of IPOB, Mazi Uche Mefor lashed out at the Enugu based prophet and described him as a false prophet who sees vision for his victims according to how financially fat and juicy their pockets are. According to Mefor, “Normally this attention seeking, hungry and delinquent wannabe would not merit any worthy response but because we inhabit a climate where envy fueled gossip is peddled as fact, I have been compelled to respond to this latest installment of filth. “Poverty stricken misguided fifth columnists like Anthony Nwoko and purveyors of mischievous falsehood in the media a while back told us that Mazi Nnamdi Kanu works for APC and collected money from APC because he called for boycott of elections. “Surprisingly today, the story has changed to Nnamdi Kanu collected money from Atiku but only this time, according to the dream of deluded and hungry fake prophet. “You know how starvation has damaged the psyche of a people when all their prophets can see in their vision is money. He did not see vote rigging, blatant falsification of results, thuggery, death and mayhem, all he saw was money. “These foolish character assassinating morons and their foolish allegations is symptomatic of how vacuous, disordered and disorganized state Nigerians are in today in the Luggardian cage. “With this nonsense being spewed out by this hungry prophet of Baal, does it then mean that those accusing IPOB of collecting money from APC got it wrong? Where are those that said that Nnamdi kanu took money from APC at the height of the boycott? Mefor went further to rubbish the unnecessary attention the media is giving to someone like Nwoko when all he kept talking about is dreams and visions that sound stupid and crazy. “When did vision become news that media houses starved of news from Nnamdi Kanu are now prepared to publish a sponsored dream as news? Describing Nwoko further as an ingrate Mefor said, “Let it be on record that Nnamdi Kanu rescued fake prophet Nwoko from destitution on the streets of Ajegunle in Lagos where he was dumped following his deportation from USA. It was the same Nnamdi Kanu that took him to Enugu and later paid for his accommodation. “Even from prison Nnamdi Kanu authorised for this criminal to be moved to a one bed apartment which he paid for from detention in Kuje. “Recently, he thinks that he has arrived with the help of his fellow traitors in governor’s lodge across the South East. They think they can command followership and loyalty the same way Kanu does and therefore through these baseless and dubious claims of having revelations from God, they hope to discredit the Biafran leader and win over Biafrans to their side. “This hallucinating fake prophet and his sponsors called on those who are serious or desirous of getting Biafra to give him 7 days to give them Biafra. 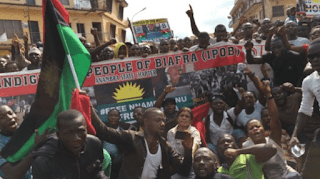 “Today, more than 10 days have passed and this cash and carry fraudulent prophet has no answer yet for the gullible fools who are waiting for Biafra to come in 7 days,” Mefor said.